I’m going to come right out and tell you that I think highly of this book. 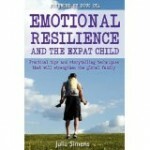 I believe Julia has written a very important work that will help global families with young (and not so young) children. Notice that I didn’t say ‘expat families’. Why? Because I feel this book will be of use to parents in all sorts of transitional situations, not only when moving to a different country/culture. Julia is an educator, consultant and speaker who focuses on family therapy, early childhood education and international relocation. She’s worked on five continents with relocating families, helping them to adjust to their global lifestyle. A serial expat and member of the American Psychological Association, she works in international schools. Currently Julia lives with her family in Bangkok, Thailand. The book in a nutshell? Julia outlines the importance of healthy relationships for expat children to thrive, the need to accurately identify and deal with their emotions throughout their transitions, and the emotionally enriching value of individual and family rituals to honor our experiences and create memories. Anyone who’s read this blog for any period of time or some of my articles knows these are topics near and dear to my heart. She even had a noted favorite of mine, child psychologist Dr. Doug Ota, write the foreword to the book. 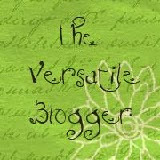 An American expat himself now living in The Hague, Doug worked for many years at the American School of the Hague. He was instrumental in creating Safe Harbours, ASH’s well-regarded transitions program, and spreading the word to other international schools around the world. I read Julia’s careful attention paid to psychologist Gordon Neufeld’s six stages of attachment that create the basis for every relationship a child has: proximity, sameness, belonging/loyalty, significance, love and being known. I wondered whether there is a particular stage in which expats or cross-cultural children seem to have more trouble than their mono-cultural counterparts. An underlying theme is teaching children to accurately name their emotions. But what happens if they cannot? Similarly, rituals are especially important to create a climate of support and security as expat families travel around the world. Shared time and experiences help create a sense of family togetherness. So how does she suggest you might go about creating family rituals? What about the family that is preparing to move overseas as expats for the very first time? I was interested in what advice she would give to them. While Julia writes primarily about young children in the book, she is clear that the message can be extrapolated to teens and young adults. Finally, it must be noted that some expat children will find themselves overwhelmed and unable to develop the emotional resilience that they require. What would Julia recommend to parents in this situation? *In the interest of full disclosure, I should note that Julia’s book was published by the inimitable Jo Parfitt and her Summertime Publishing. Jo is a wonderful mentor to me, so lest you think I’m merely reviewing a friend’s client/friend, please think again. We all have too much integrity for that. Jo is aces at what she does, and only takes on topnotch expat books. I bought the book (no freebie here folks – I wanted to own this great resource), and wouldn’t have written a word if I didn’t find it to my liking. I’m ecstatic that it is the helpful handbook I’d hoped it would be. My God, you are a busy girl. When do you get to sleep? Can’t say that I get enough, it’s a resolution of mine to get more sleep. But I’ve been wanting to get this posted for a couple weeks now. This truly is a great book, and I had the privilege of working with Julia on it. 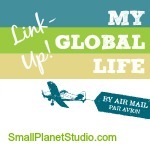 It was wonderful to see, last week, when Doug Ota did a presentation on The Expat Life, how he waved it in the air and told everyone to buy it – and they did! Congratulations Linda – fabulous interview with Julia. Having read and reviewed the book myself I think it will regarded as pivotal by those dealing with children going through huge life changes. I agree it’s message extends far beyond the ‘expat’ world – wish it had been round 15 years ago!!!! Thanks Wordgeyser. Wish it had been as well, but sure am glad she’s written it now.